© Posted on March 26, 2018, by Michael E. Newton. 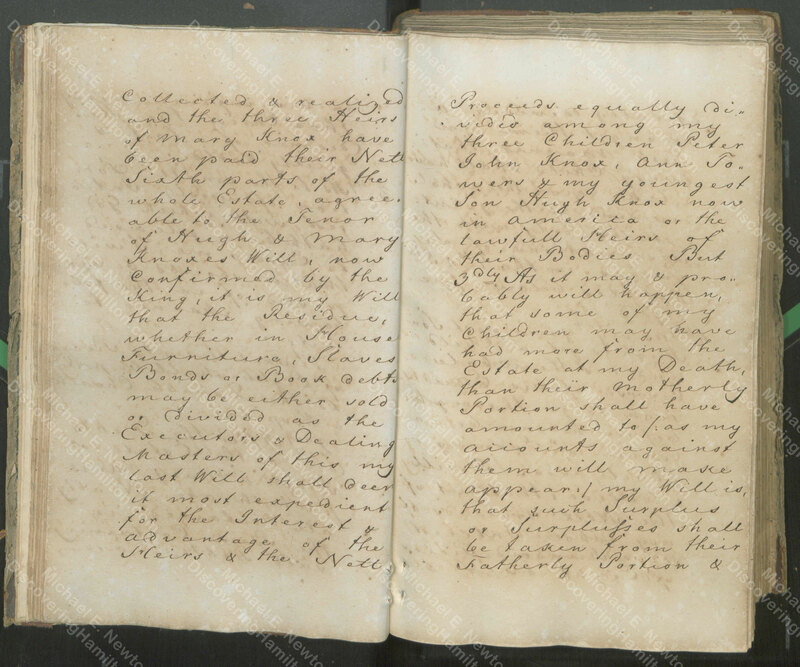 Hugh Knox is most famous for “having advised” a 15-year-old Alexander Hamilton on St. Croix “to go to America,” i.e., the future United States, and “having recommended” Hamilton “to some of my old friends there.” Although Alexander Hamilton only knew Knox for a few months on St. Croix, Knox’s influence on Hamilton was profound and the two continued to correspond for years after their separation. On Saturday the 9th Instant, departed this Life, the Reverend Doctor HUGH KNOX, aged 63, Pastor of the Presbyterian Church, and Physician; Eminent in, and an ornament to the former Profession, Judicious and successful in the latter.—A Tender and affectionate Husband, the best of Fathers, and a sincere, faithful, and firm friend, and an Universal lover of Mankind—Possessed of every Virtue which made him beloved and respected here, and we doubt not, happy hereafter—19 years was he a residenter in this Island, during which time he was anxiously employed in Promoting the Public and Private good of this Community, His whole life, when his Precarious Health wou’d permit, was a busy scene of Public and Private exertions for the welfare of his Fellow-creatures, and we flatter ourselves that his Christian endeavours have not been void of success.—Christian Fortitude and Resignation mark’d his last illness, and he met Death with a smile—his value was too well known to dwell longer on it here, and suffice it to say, that he was one of God’s noblest Works. On October 1, 1790, just eight days before his death, Hugh Knox, “being infirm in body & apprehending a speedy & perhaps sudden dissolution,” made out his “last will and testament.” A copy of this will is found in Knox’s probate record. 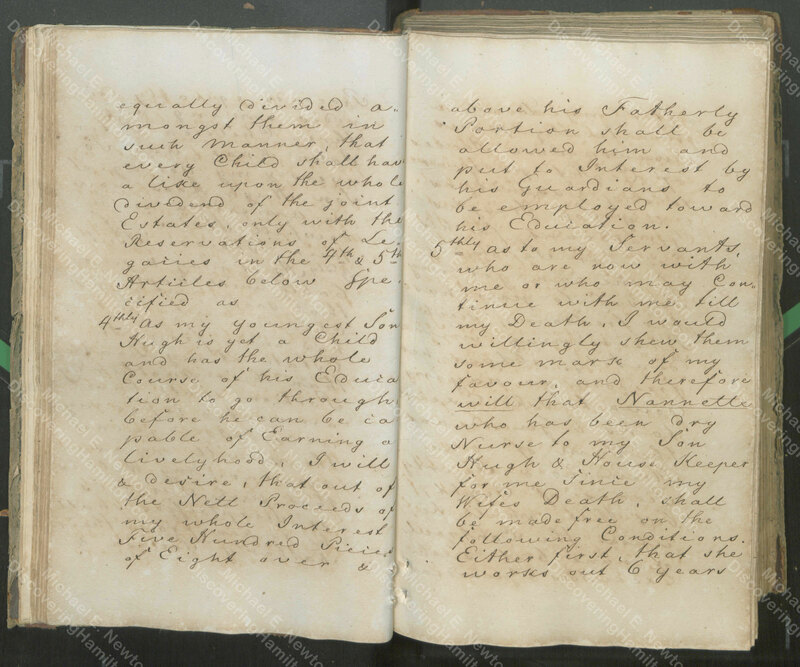 It is in English and perfectly legible, except for some text running into the binding of the book. 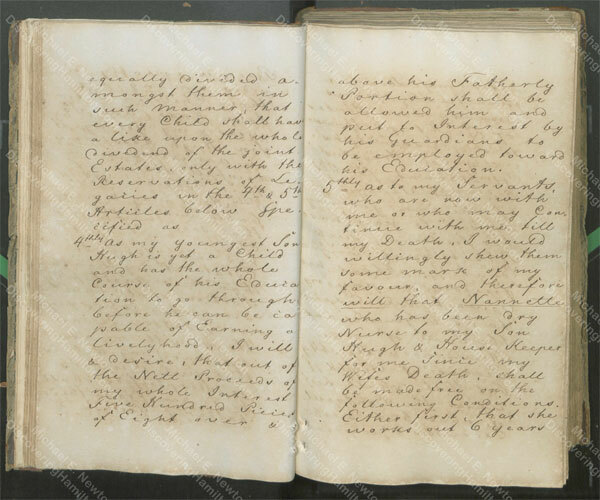 It is transcribed and shared below, but first a look at some of the more interesting parts. 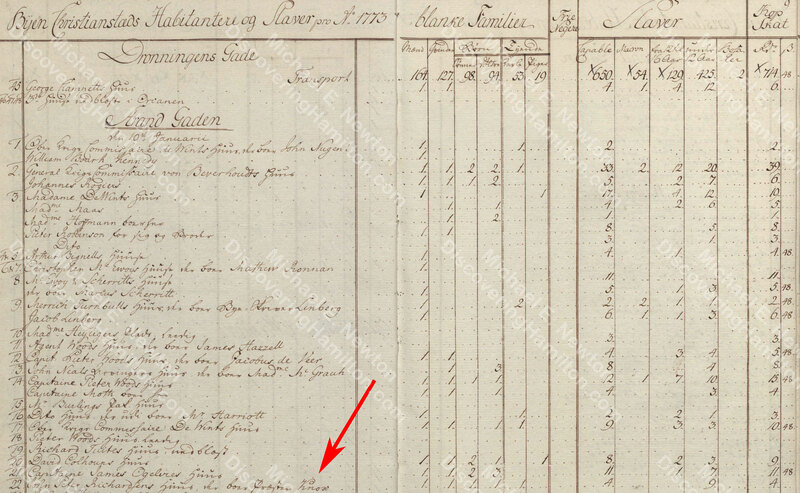 When Alexander Hamilton knew him on St. Croix in 1772, Hugh Knox had one son and two daughters. Presumably, the son was Peter John Knox and the daughter was Ann Knox (later Towers). The other daughter, who Hamilton had known, is not listed in Knox’s will. The matrikel for the following year shows that Knox had just one son and one daughter, indicating that the other daughter passed away in 1773. 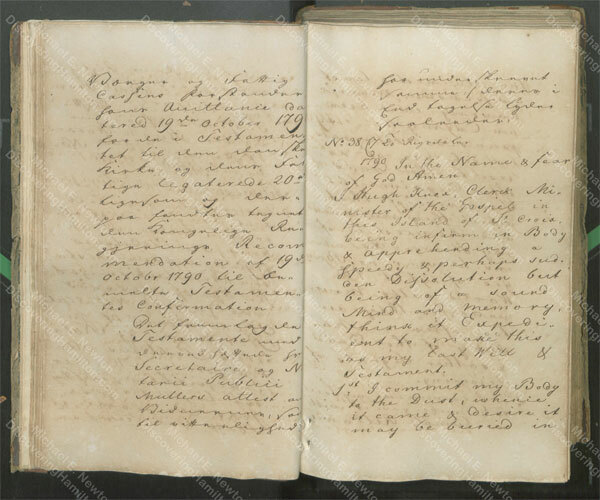 The other son listed in the will, Hugh Knox Jr., who Hamilton did not know on St. Croix, was born on December 19, 1781. 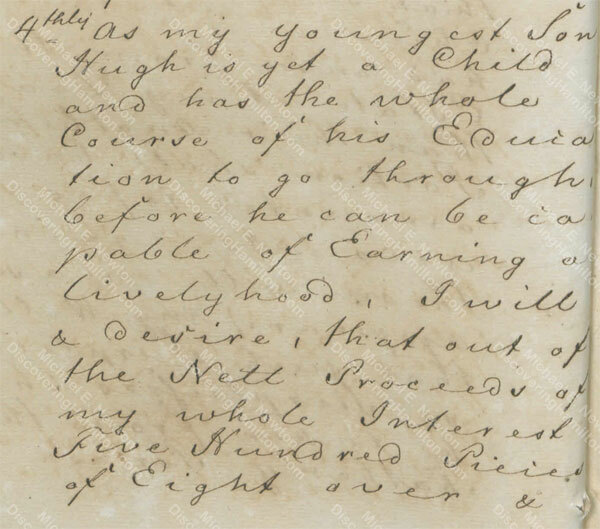 As my youngest son Hugh is yet a child and has the whole course of his education to go through before he can be capable of earning a livelyhood, I will & desire that out of the nett proceeds of my whole interest five hundred pieces of eight over & above his fatherly portion shall be allowed him and put to interest by his guardians to be employed toward his education. I commit by body to the dust, whence it came, & desire it may be buried in the plainest & least expensive manner having ever been an enemy to expensive funerals, which are of no use to the dead & often deprive the survivers of that which they much need. My heirs & relations to wear no badges of what the world calls mourning, as they are too often a makery [mockery] of the dead & rather signals of rejoicing. 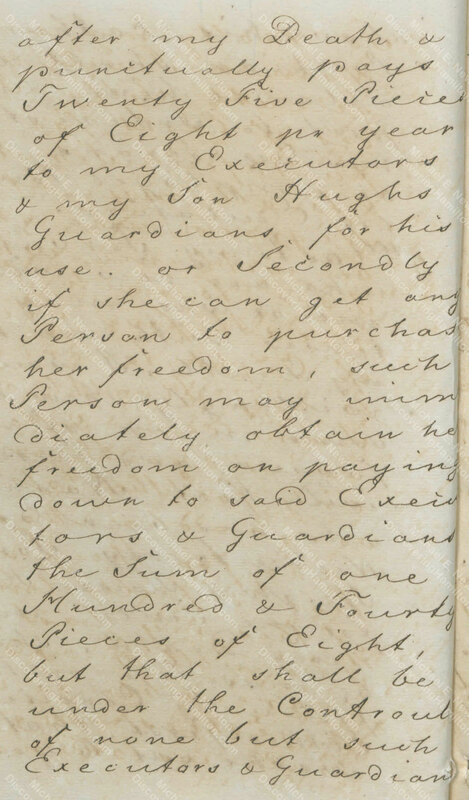 Wanting to “shew [show]” his slaves “some mark of my favour,” Hugh Knox provided that “Nannette, who has been dry nurse to my son Hugh & house keeper for me since my wife’s death, shall be made free,” but only if she works another 6 years and pays his heirs 25 pieces of eight per year or can get someone to purchase her freedom for 140 pieces of eight. In another show of kindness, Hugh Knox gave his “washer woman” 50 pieces of eight “for her faithfull services,” a most generous present to give a slave. Despite giving one slave fifty pieces of eight and the others five pieces each, they were all to remain slaves. It is interesting how Hugh Knox gave quite generous gifts to his slaves and even offered one of them her freedom for a price, yet he still treated them as property and clearly did not want to deprive his children of their inheritance. This dichotomy between kindness towards slaves on the one hand and condescension on the other probably says more about the time and place in which Hugh Knox lived rather than anything about Knox personally. 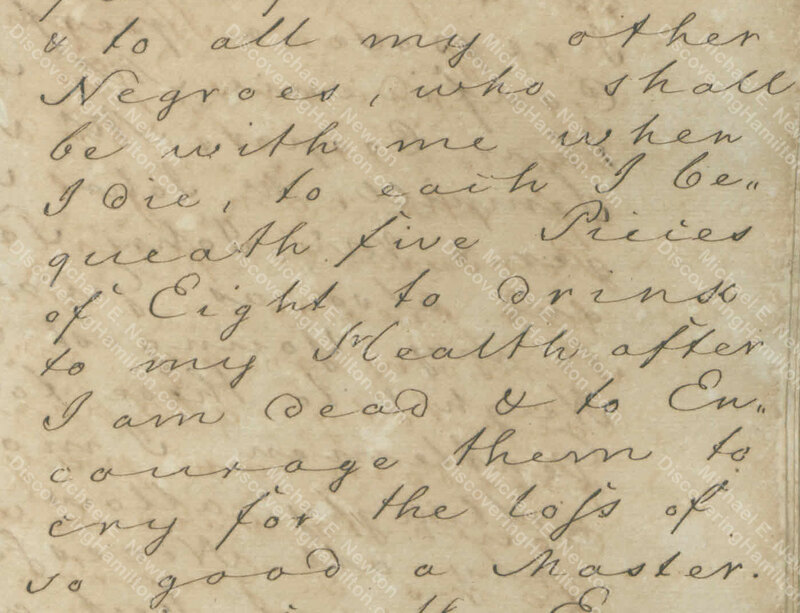 I Hugh Knox, Clerk Minister of the Gospel in this Island of St. Croix, being infirm in Body & apprehending a speedy & perhaps sudden Dissolution but being of a sound Mind and memory, think it Expedient to make this as my last Will & Testament. 1st I commit my Body to the Dust, whence it came & desire it may be buried in the plainest & least expensive manner having ever been an Enemy to expensive Funerals which are of no use to the Dead & often deprive the Survivers of that, which they much need and Request it of my Heirs & Relations to wear no Badges of what the World calls Mourning, as they are too often a Makery [mockery] of the Dead & rather Signals of Rejoicing. 2dly I commend my Soul to God, who gave it with an humble Reliance on his infinite mercy thro Christ the Redeemer of a lost & guilty World. 4thly As my youngest Son Hugh is yet a Child and has the whole Course of his Education to go through before he can be capable of Earning a livelyhood, I will & desire, that out of the Nett Proceeds of my whole Interest Five Hundred Pieces of Eight over & above his Fatherly Portion shall be allowed him and put to Interest by his Guardians to be employed toward his Education. 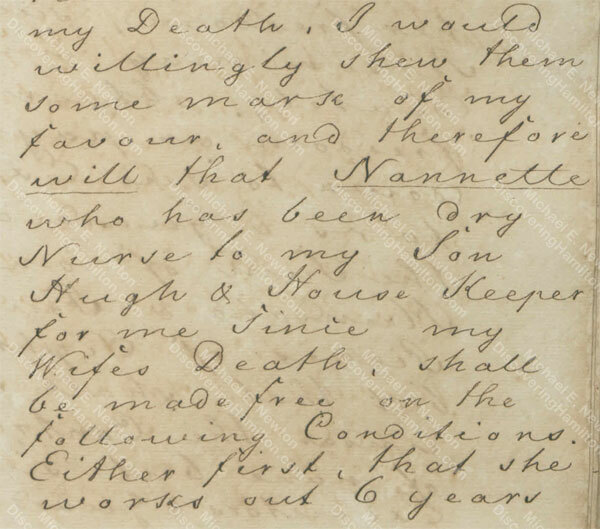 5thly as to my Servants, who are now with me or who may Continue with me till my Death, I would willingly shew them some mark of my favour, and therefore will that Nannette who has been dry Nurse to my Son Hugh & House Keeper for me since my Wife’s Death, shall be made free on the following Conditions. Either first, that she works out 6 years after my Death & punctually pays Twenty Five Pieces of Eight pr year to my Executors & my son Hughs Guardians for his use. 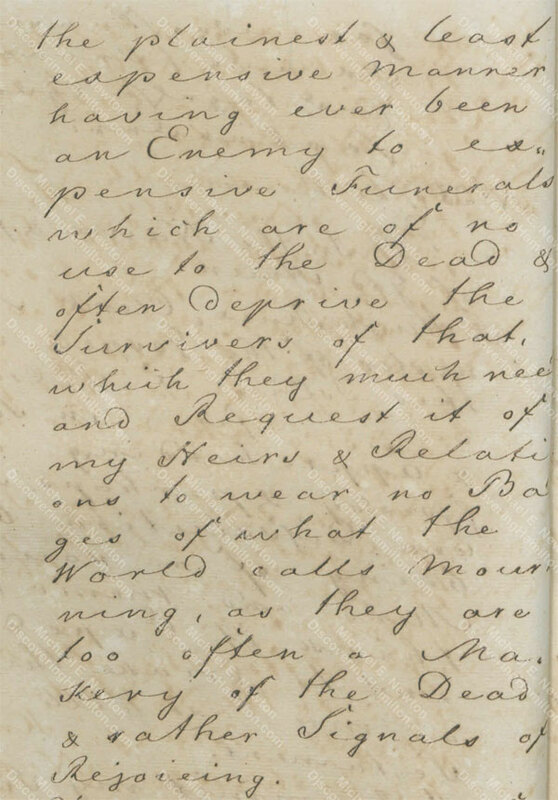 or Secondly if she can get any Person to purchase her freedom, such Person may immediately obtain her freedom on paying down to said Executors & Guardians the Sum of one Hundred & Fourty Pieces of Eight, but that shall be under the Countroul of none but such Executors & Guardians. To Molly my washer Women [sic] I will & bequeath Fifty Pieces of Eight for her faithfull Services & to all my other Negroes, who shall be with me when I die, to each I bequeath five Pieces of Eight to drink to my Health after I am dead & to Encourage them to cry for the loss of so good a Master. and for the Execution & fullfilment of this my last Will I do will & ordain / agreeable to His Majesties most Gracious ordinance of / as my Executors & Dealing Masters, the following Gentlemen in whose integrity I repose a perfect Confidence Mr. Arthur Cooper, Mr. John Sempill, Mr. John Rodger & Mr. John Towers and also as Guardian to my Youngest Son Hugh & to these four Gentlemen I most willingly allow not only all Necessary Expenses, but also four pct for incassating [collecting] the Debts due to the Estate. 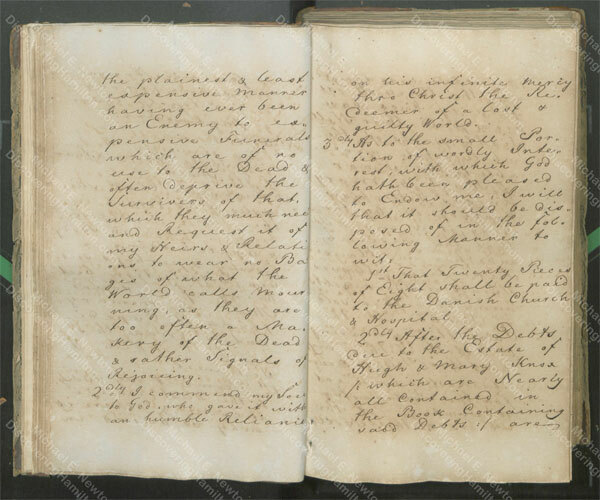 Wittness my Hand & Sealed, Saint Croix this first day of october, 1790. 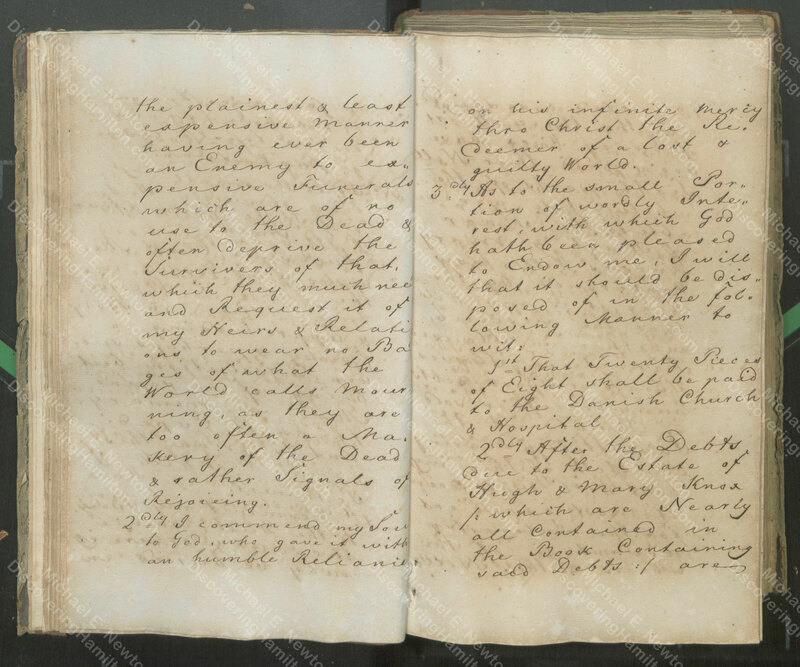 Hugh Knox to Alexander Hamilton, July 28, 1784, in The Papers of Alexander Hamilton 3:573–574. 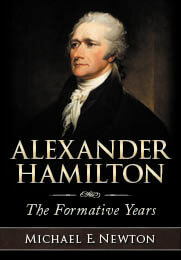 Newton, Alexander Hamilton: The Formative Years 43–44. 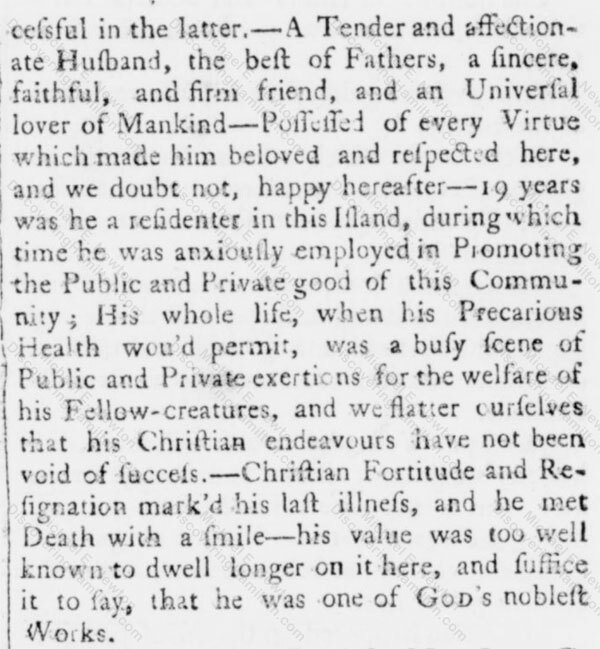 Although Hugh Knox’s obituary was quoted as far back as 1951 by Broadus Mitchell in his essay “The Man Who Discovered Hamilton,” I believe this is the first time it has been shared in full. 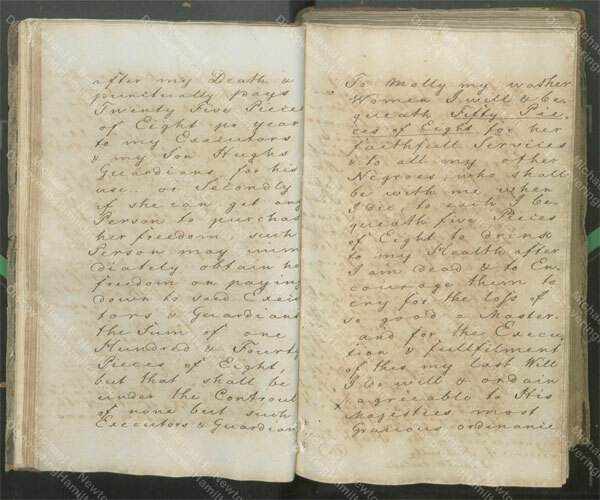 Biographical Sketches of the Graduates of Yale College 408. 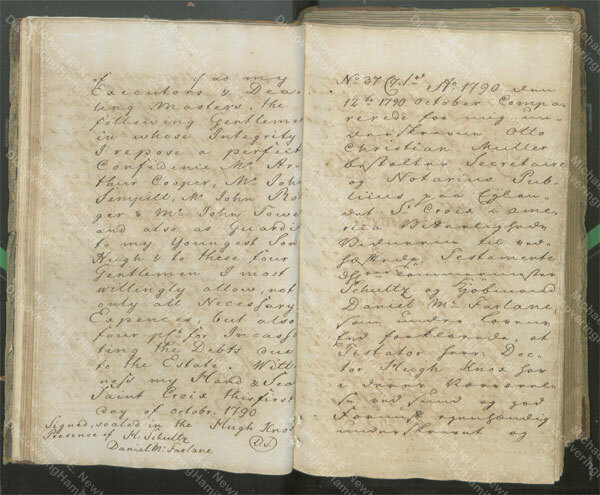 Previous Previous post: When was James Hamilton (Alexander Hamilton’s Father) Born? 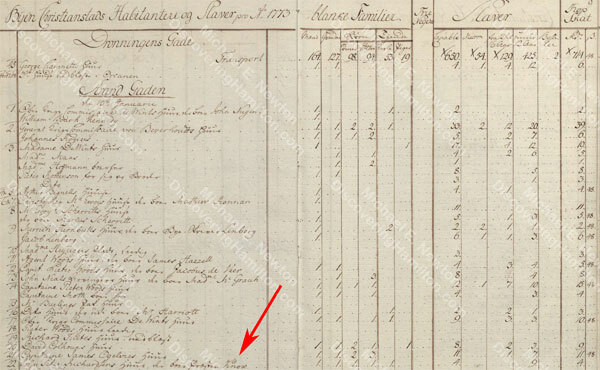 When were Alexander Hamilton’s Scottish Aunts and Uncles Born? I enjoyed his thoughts on funerals and mourning! So did I. Says a lot about the kind of man he was and the society in which he lived. I tend to agree with him in regard to those subjects. His generosity to slaves was interesting. Complex times. 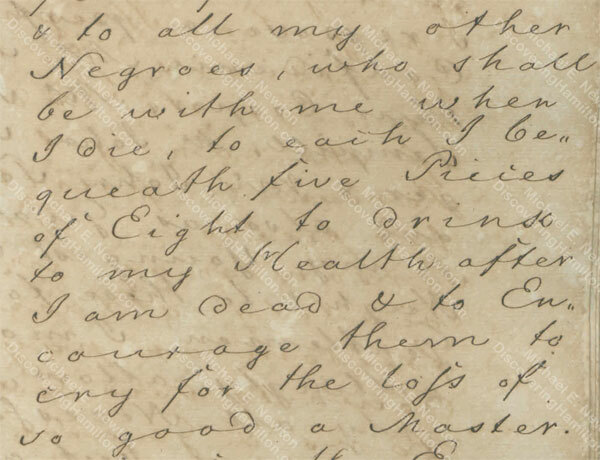 I’ll be writing more about Knox’s positions on slavery in my next book, God willing.